Julia Görges leads the entry list of the WTA International Event. Three local players will compete for the title at this year’s Nürnberger Versicherungscup, held from 18 to 25 May 2019. 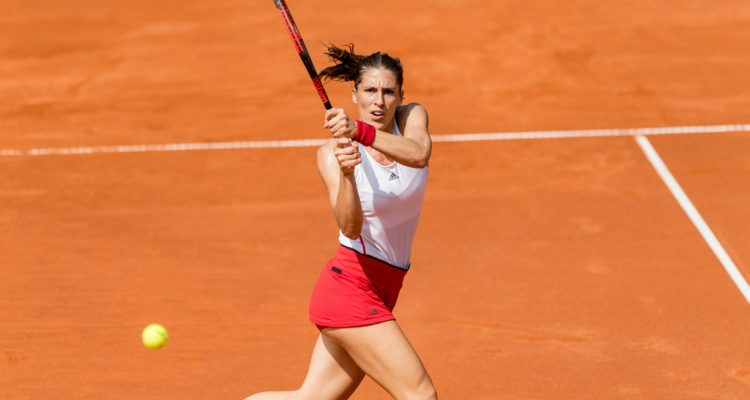 Julia Görges, Mona Barthel and Andrea Petkovic will play at Germany’s second biggest WTA tournament, which offers a total prize money of $200,000. Görges, currently ranked World No. 17, leads the entry list. Petkovic has been the only German player so far, who reached the final in Nürnberg back in 2013. The trio will be joined by a couple of international top-players such as Yulia Putintseva of Kazakhstan, who advanced to the quarterfinals twice and Australia’s Ajla Tomljanovic. “The cut-off will be, as in previous years, at about World No. 90. Once again we will have a great line-up. Of course, the focus is on our three German tennis cracks. I hope that they can fight for the trophy. A champion from Germany would be great,” tournament director Sandra Reichel of the sports agency MatchMaker stated in a press release. This entry was posted in WTA International Nürnberg and tagged Nürnberger Versicherungscup, WTA.